This fall I built this tool chest so that I could transport all (or most) of my rustic furniture tools down to the farm in one tool chest. It sits in my basement shop, but can be transported in the back of my truck and hung on the wall of the ox barn. 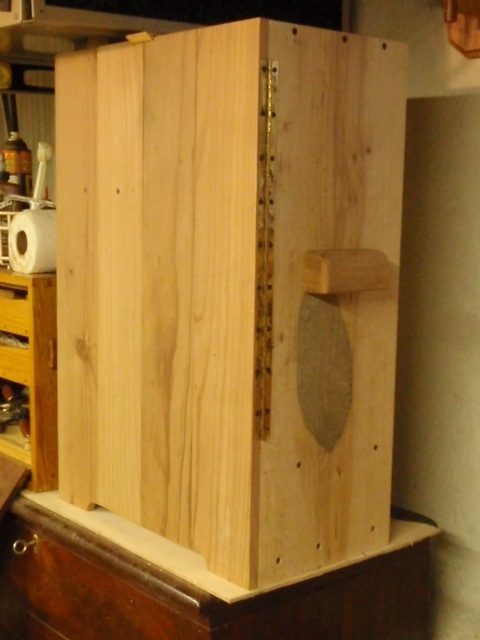 I intentionally did not cram it as full as I might have as it would have been easy to make it too heavy to carry. 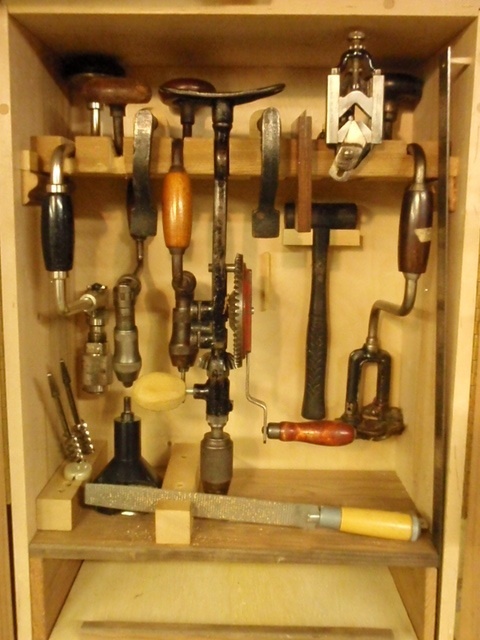 But there is room to throw a few extra tools in the bottom if I know that I need something unusual one day. In addition to my tool chest, I have my back pack. 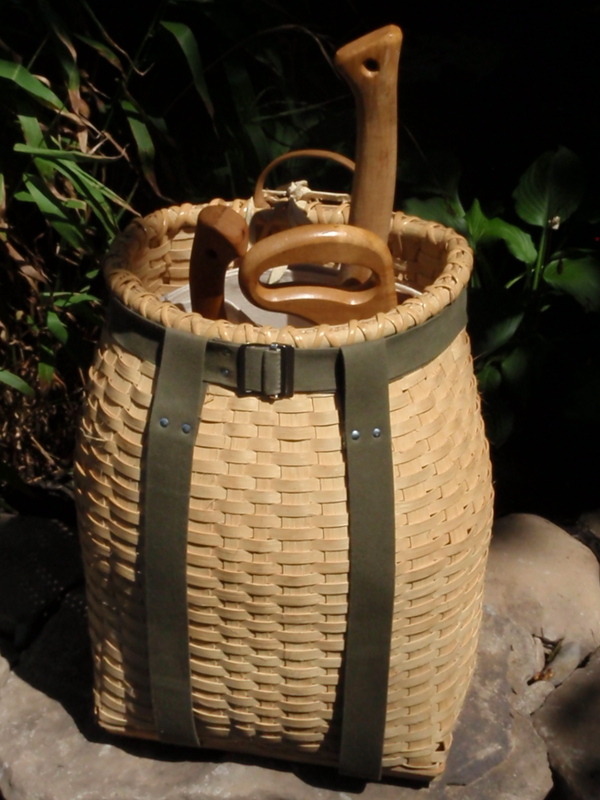 It’s woven of black ash, and made in the style of an Adirondack or Maine guide pack. I got the materials to make it from H.H. Perkins. They have all kinds of basket making stuff. I like it better than a canvas or nylon (shudder) pack, because it doesn’t collapse on itself. Here's the pack all loaded up. The axe in the picture is a “Limbing Axe“, which as you might guess is for taking limbs off of trees, but since I mostly use saplings in my work, I use the limbing axe most of the time. I have and occasionally use a full sized “Felling Axe”, but it is heavy and (for me) hard to sharpen, so I use it less often. 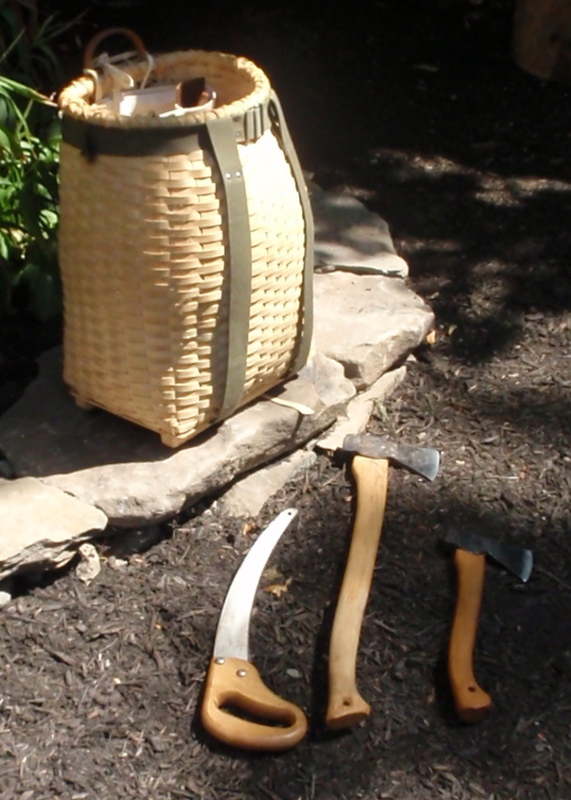 The axe and the hatchet pictured are Gransfors axes. They are beautiful and I am considering getting one of their felling axes just cause they are so sweet.